DETROIT — Ford Motor' revamped management structure installs two veteran executives in new, more powerful positions that could put one of them in line to lead the company in the future. Joe Hinrichs, previously president of the Americas, is now president of global operations, in charge of product development, manufacturing, labor affairs, quality, purchasing, sustainability, environment and safety engineering. 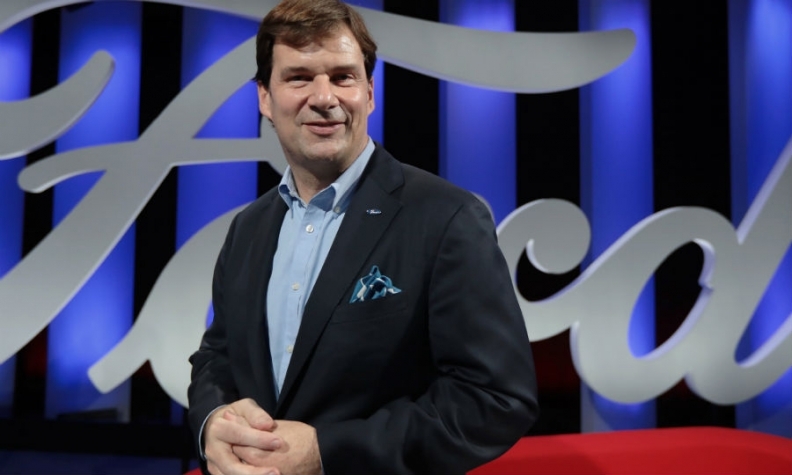 Jim Farley, formerly head of Europe, is now president of global markets, in charge of all of Ford's business units, Lincoln and global marketing, sales and service. The moves elevate the two men, both in their early 50s, to separate but equal positions one rung beneath 62-year-old CEO Jim Hackett. Also on equal footing is Marcy Klevorn, president of mobility. Klevorn's unit may not have the business and financial heft as Farley's and Hinrichs', but it represents a key strategic focus. 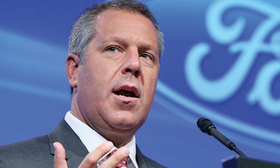 Ford sees it as a third pillar of the organization, a spokesman said Friday. It's also where Hackett came from — and he picked Klevorn. Jim Farley has given Ford consistent profitability in a tough European market. Ford officials insist the roles are meant to speed decision-making, not create a horse race to determine Hackett's eventual successor. "If I have any kind of impact in this business, you will not feel the competition of two people," Hackett said during his introduction in Dearborn. "We are a team, we work like that. It's the only way I'm motivated. These guys have signed up to change the world together." Executive Chairman Bill Ford told Automotive News he's unsure if the automaker has ever organized senior management like this before, but the structure was chosen to ease the load for Hackett, who has never led a company of this size. Hackett will have eight direct reports, down from 18 for Fields, according to a Ford spokesman. But outside observers say Farley, with seven direct reports, and Hinrichs, with four, now become clear favorites whenever Hackett steps down. "I think they're looking at a succession plan," Jeff Schuster, senior vice president of forecasting at LMC Automotive, said in an interview. "Ford put them in strong positions to support the overall company direction, with the likely end of that being succession. It at least feels that way." The roles for Farley and Hinrichs may be new to Ford, but they are not unique to the industry. During Lee Iacocca's reign as CEO of Chrysler, he gave similar powers to Ben Bidwell and Bob Lutz. Bidwell was the equivalent to Farley, managing sales and marketing, while Lutz took the Hinrichs role of leading product development. "It's a very sound strategy," Lutz told Automotive News. "It's organized along functional lines, and it's a structure that works." Lutz said he doesn't envision a heated race between the two to become CEO. But he acknowledged that there's always competition among top executives, no matter what the structure looks like. Lutz, who had a number of executive roles at Ford in the '70s and '80s, attested to what Bill Ford said has been an ongoing headache within the company: a hierarchical culture that slows decision-making. "It was the most ironclad, stiffest, most staff-supported bureaucracy that you've ever seen," Lutz said. A particular annoyance was that he was never allowed to write his own memos, and that by the time his staff drafted something for him to sign, they had become "so sanitized and purified that they didn't say anything." The key for Hackett, Farley and Hinrichs, Lutz said, is to insist on changing that culture. "You need a formalized structure to run the machine; you can't get rid of it," he said. "Good leaders can speed it up and make it more efficient. It takes a certain amount of stubbornness."